Moschino has launched Moschino Toy, the brand’s latest fragrance. 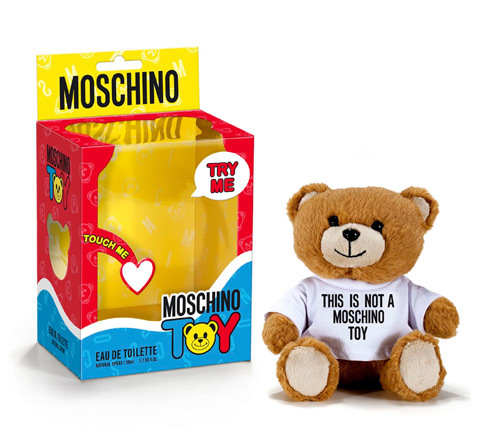 Moschino Toy comes in an unusual bottle that looks like a teddy bear who is wearing a T-shirt saying “THIS IS NOT A MOSCHINO TOY”. The bottle is inside the teddy bear and diffuser is revealed when you take of the bear’s head. The scent is unisex, light, floral and woody. It is composed of accords of fresh bergamot, powdery violet, aromatic tones of lavender and juniper, as well as precious woods. 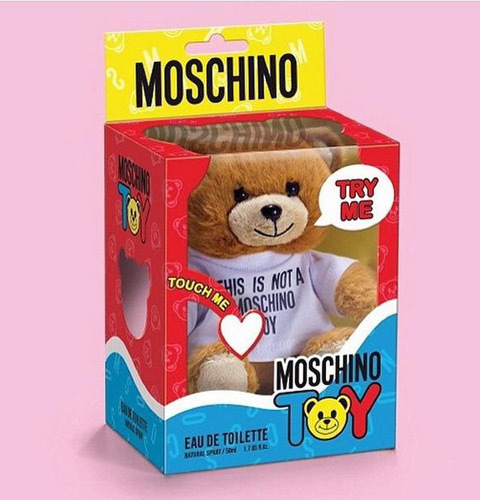 Moschino Toy is available in 50 ml Eau de Toilette, $110, and can be purchased now on the Moschino website. The face of the campaign is a model Isabeli Fontana, shot by Steven Meisel.